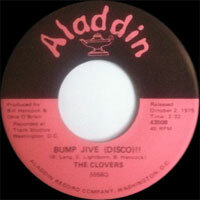 Groupe Doo Wop US, les Clovers ont débuté en 1946 dans les clubs de Washington (District Of Columbia) et était composé de Harold "Hal" Lucas, John "Buddy" Bailey, Mathew McQuater et Harold Winley. En 1950, ils enregistrent pour Rainbow sous le nom des "Four Clovers". Délaissant le quantitatif "Four", ils tentent à nouveau leur chance chez Atlantic et c'est le succès. Outre Atlantic, Ils ont enregistré pour Winley, Porwin Brunswick, Tiger et Josie Records avec du personnel différent. 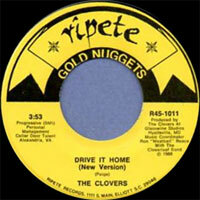 The Clovers occupy an exalted place in the history of R&B, if not in the minds of many listeners, other than hard-core devotees of the music's history — the Drifters tend to eclipse them, by virtue of their longer history and the string of hits that the later incarnation of that group had during the 1960s. 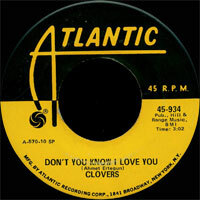 The truth is that the Clovers not only started earlier than any other act on Atlantic, but they also scored more hits in their six years there than any other R&B act in the label's history. The group's origins, like those of so many R&B Vocals outfits, goes back to the members' middle teenage years. Tenor/baritone Harold "Hal" Lucas, tenor Billy Shelton, and bass Robert Woods were students at Armstrong High School in Washington, D.C., during the mid-'40s when they formed a trio led by Lucas, who also came up with the name the Clovers. A fourth member, John "Buddy" Bailey, another tenor, joined up and eventually became their lead singer, while Lucas started singing baritone. Their early sound was influenced by the likes of such professional outfits of the era as the Orioles and the Ravens. The history of R&B isn't easily contained within the boundaries of the post-World War II era, when it began gathering popularity. 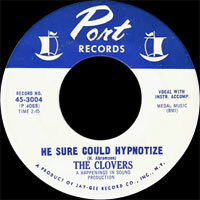 The Clovers took shape over the next few years, as Woods departed to be replaced by Matthew McQuater, and Shelton was succeeded by Harold Winley, and a fifth member, in the guise of guitarist Bill Harris, joined in 1949. During these years, their repertory was largely drawn from the records and set lists of the Orioles and the Ravens, but as the 1950s dawned, the group had begun to embrace a harder, edgier brand of R&B, with less restraint in their embellishments. They were discovered while playing a club in Washington by Baltimore-based entrepreneur Lou Krefetz, who got them onto a small label called Rainbow Records, where they made their debut with "Yes Sir, That's My Baby." It was Ahmet Ertegun, the founder of the then new label, who interceded and, after getting the group onto his label, started feeding them rougher, more rhythm-oriented material, including the first song Ertegun ever wrote, "Don't You Know I Love You" — according to Nick Tosches, that single was also the first record by an R&B quartet to incorporate a saxophone solo (by Frank Culley) into its structure; the record became a number one R&B hit during the summer of 1951 and heralded a new era in popular music, serving as the template for a decade of R&B hits. Indeed, there are those who identify that record as the very first identifiable rock & roll single. The group was put in the hands of producer/songwriter Jesse Stone (aka Charles Calhoun), who, with Ertegun, directed them further into this new territory that they suddenly found themselves trailblazing. 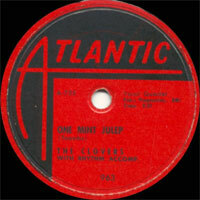 In April of 1952, "One Mint Julep" became a number two single, and they followed that up in July with "Ting-a-Ling," which also got to number two. 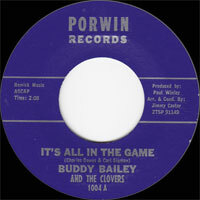 The Clovers' fortunes continued until Bailey was drafted during the summer of 1952, and the group didn't see any significant success again until the summer of 1953 when "Good Lovin'" charted at number two with Charlie White, late of Billy Ward's group the Dominoes. They charted again at number three in the spring of 1954 with "Lovey Dovey," and then Billy Mitchell came in as lead singer for "Your Cash Ain't Nothin' but Trash." That single was only a relatively modest hit during the summer of 1954, but it was useful on a whole different level, getting the group a berth in the pioneering rock & roll/R&B short feature Rock 'n' Roll Revue. Beginning in 1955, with Bailey's discharge from the army, he and Mitchell served as joint lead singers in the group. 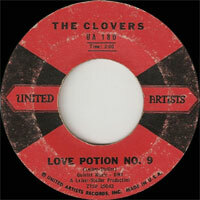 The Clovers switched to a ballad style in 1955 with the release of "Blue Velvet," which was a modest success at number 14 on the R&B listings. Their next single, "Devil or Angel," the latter an "over-the-transom" submission by an amateur songwriter named Blanche Carter, got to number three, but that marked the end of their run of hits on Atlantic. Ironically, it was those last two singles — which were really the least representative of their sound of any of their hits — became their best known singles, getting the widest airplay, though their version of "Devil or Angel" was later eclipsed by Bobby Vee's recording. 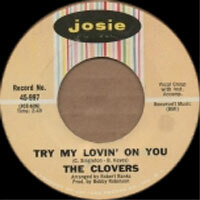 Following its release, as the rock & roll boom solidified around white performers, guitar-based acts, and novelty tunes, the Clovers experienced a downturn in their fortunes. They ceased charting singles and after two more years of attempts at reviving their sales, Atlantic released the bluesy sleeper classic "Down in the Alley" (1957), one of the raunchiest songs of its period ever aimed at a mainstream audience, which even had the temerity to project its lustful observations slowly. Rather than retreat, the act, with the encouragement of their manager, Lou Krefetz, grew bolder. 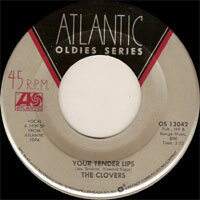 He organized a new label, Poplar Records, and had the Clovers record an entire LP, an extraordinary opportunity for a group that wasn't riding high on the charts at the time — even the Drifters had never recorded an actual LP at the time, their albums being compilations of previously recorded singles. The group scored with the LP and its accompanying single, "Pennies From Heaven," and it looked as though they might pull out of their ongoing commercial slump. Fate then took a hand as Krefetz was offered the opportunity to become the head of sales for United Artists Records, a newly organized label that had the money of one of the top studios in Hollywood behind them. 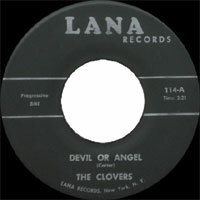 The manager accepted the offer and was able to fold the Clovers, along with their recordings for Poplar, into the larger company. Krefetz next linked the group up with Jerry Leiber and Mike Stoller, the result being the biggest pop hit in the group's history, in the form of "Love Potion No. 9," sung by Billy Mitchell, and peaked at number 23 (which, oddly enough, was the same slot it occupied on the R&B charts). Alas, this was to be the group's last success. They never found another producer as effective as Leiber and Stoller, much less Ertegun or Stone, and even when they returned to work with Stone, they were unable to find a way back to the charts; even re-recording their old hits, such as "One Mint Julep," failed to attract any listeners. By 1961, the group had parted company with United Artists, and soon they were grasping at straws commercially, spiraling down in a series of contracts with ever smaller and weaker labels, losing Matthew McQuater in the process. 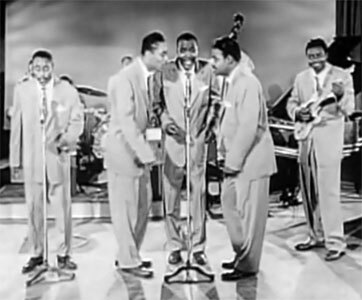 The group splintered, with Billy Mitchell and Harold Lucas reorganizing the lineup with a pair of members from another group, the Bachelors, James "Toy" Walton and Robert Russell. 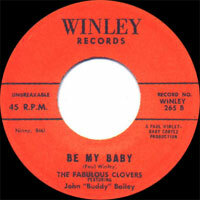 They made a brief return to Atlantic in 1961 without any resulting rebound in sales, and after that, the group's situation became complicated by the existence of rival incarnations — along with Mitchell's outfit was a group called (at times) "the Fabulous Clovers," led by Bailey. 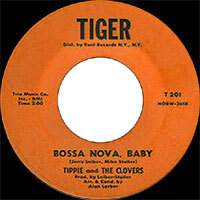 Roosevelt "Tippie" Hubbard succeeded Mitchell, leading a quartet called "Tippie and the Clovers," who cut sides for Leiber and Stoller's Tiger label, among them "Bossa Nova Baby," a number that was even an embarrassment to Elvis Presley when he did it. 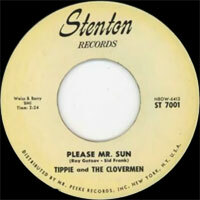 By the dawn of the rock & roll revival at the turn of the 1960s into the 1970s, the Clovers' situation had become at least as complicated as that of the Drifters, with multiple groups claiming the name in various performing venues and recording situations. None of it really mattered by then, as the recordings had assumed a life of their own, separate from any performances by survivors or pretenders. The group was honored by the Rhythm-and-Blues Foundation in 1988 with a Pioneer Award, given to surviving members Bailey, McQuater, Lucas, and Winley, and thanks to the CD boom, their classic Atlantic sides have been more readily available since the 1990s than they've been at any time since the mid-'50s, Rhino Records keeping two different hits compilations in print while Collectables Records has reissued their two Atlantic LPs on a single CD. 1963 SP BRUNSWICK 55249 (US) . 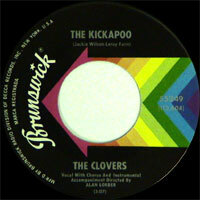 The Kickapoo / Love! Love! Love! 06/1997 CD RHINO 72706 (US) DON'T YOU KNOW I LOVE YOU & OTHER FAVORITES - Don't You Know I Love You / One Mint Julep / Hey Miss Fannie / Crawlin' / Fool, Fool, Fool / Ting-A-Ling / Lovey Dovey / Devil Or Angel / Love, Love, Love / Good Lovin'.